Join our mailing list to receive updates about Cooler, greener Adelaide: shaping our future city. What are the impacts of a business-as-usual approach to urban growth on liveability in our communities? What are the benefits of cooler, greener design and planning? What is the role of water in the creation of a resilient, green Adelaide? What can the community, government and industry do to contribute to a resilient, green Adelaide – in our homes, backyards, streetscapes and neighbourhoods? Join our lively MC Matthew Wright-Simon (Ecocreative, TEDxAdelaide) together with a panel of experts, as they explore how to create better communities through rethinking how we plan and design our cities; urban greening; and sustainable, integrated urban water management. What’s the secret to a cooler, greener city? There are real advantages to considering water when planning, designing or renovating our homes and public spaces. If we store and use rainwater cleverly on any suburban block, we can get creative with trees, plants and lush outdoor areas that we can enjoy all year round with our families, friends and neighbours. This is certainly more appealing than worrying about how to cope with the climate or feeling trapped indoors under the air-conditioner. Come and see how councils are transforming streets and neighbourhoods with new technologies and innovative design that includes using stormwater in the landscape, permeable paving, raingardens and the latest recycled water schemes. Our presenters challenge the business-as-usual approach to urban renewal and the design of our homes and outdoor spaces, and offer alternatives that support health and wellbeing. What will our future city look like? The Cooler, greener Adelaide forum and expo gathers innovators in design, building, research, planning and business to explore how ‘future Adelaide’ could look and feel. We’ll compare and discuss how a typical Adelaide suburb compares with one designed for a warmer climate. Our best practice exhibition will showcase how cooler, greener homes, backyards and community spaces are already a reality across Australia. Maybe you’re looking for ideas and inspiration on how you influence the creation of better streets and parks. Maybe you’re planning, building, renovating or budgeting for a home. Either way, cooler, greener options abound at the forum and expo. Book your free spot now for 20 March at the Adelaide Convention Centre. We look forward to seeing you! 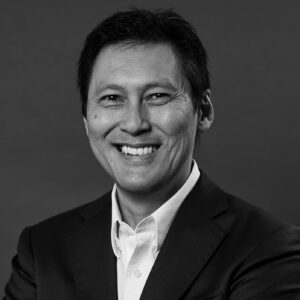 Professor Tony Wong is Chief Executive of the Cooperative Research Centre for Water Sensitive Cities in Australia, with research hubs in Brisbane, Melbourne, Perth and Singapore. He pioneered the water sensitive cities approach for concurrently addressing the social, environmental and economic challenges of urban water management. He has led a large number of award-winning projects based around the adaptation of nature-based solutions for urban water management. Tony has advanced new understandings of the relationship between the societal and biophysical dimensions of water security and city waterscapes – enabling solutions to be underpinned by creative design through blending bio-mimicry with engineering and architectural knowledge and practices for delivering sustainable urban water outcomes. 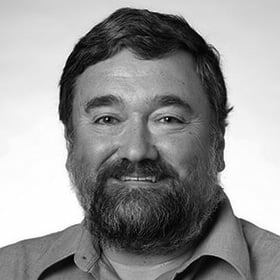 In 2010 he received the prestigious Sir John Holland Award as Australia’s Civil Engineer of the Year, cited as having defined “a new paradigm for design of urban environments that blends creativity with technical and scientific rigour. A sequence of his achievements in Australia over the last 30 years in research and development, technology, urban design and policy has diffused globally, and increasingly amongst developing nations. He was elected to the Australian Academy of Technological Sciences and Engineering in 2014, and in 2018, he received the IWA World Water Award. 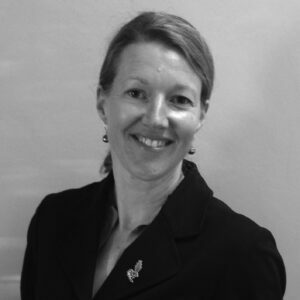 Fairlie Delbridge is Managing Director of Cminus Sustainable Spaces and a Director of a number of other private companies involved in property development and strategic consultancy in the built environment. Fairlie has developed a range of landmark commercial property projects and also delivered multistorey residential development. 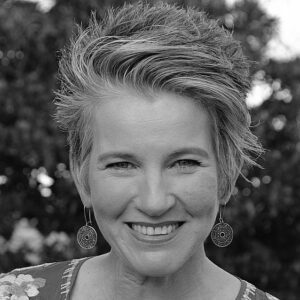 As a former General Manager of Strategy and Innovation at Renewal SA, Fairlie was accountable for the renewal of the State’s 42,000 strong public housing portfolio.Fairlie is a graduate fellow of the Vincent Fairfax Fellowship in ethics and leadership, was an inaugural commissioner on the State Planning Commission, a former non-executive Director of Unity Housing, a current non-executive Director of Junction Australia and Deputy Chair of Scotch Colleges Council of Governors. 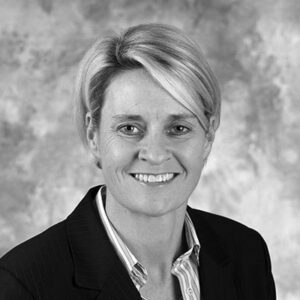 She is also a graduate and a fellow of the Australian Institute of Company Directors.Fairlie is passionate about all things built environment and how our cities impact on the health and wellbeing of their inhabitants. Mellissa Bradley has 25 years’ experience working within the fields of civil design, development assessment, policy development, environmental management and construction management for stormwater and wastewater re-use schemes. Mellissa is the Program Manager for South Australia’s water sensitive urban design capacity building program, Water Sensitive SA, in conjunction with her role as SA’s Regional Manager for the CRC for Water Sensitive Cities. These complementary roles have a key focus on communicating the evidence base for water sensitive city transitions to decision makers, policy writers and practitioners, and providing the tools, guidelines and training needed by industry to apply this knowledge. Mellissa’s work with government and industry supports the cultural shift and technical know-how needed to mainstream water sensitive urban design practice for the creation of more liveable cities and towns. 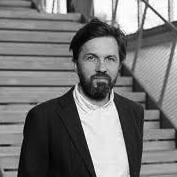 Dr Nigel Bertram is a Director of NMBW Architecture Studio, Melbourne and Practice Professor of Architecture in the Faculty of Art Design and Architecture at Monash University. Nigel established NMBW Architecture Studio in Melbourne with Marika Neustupny and Lucinda McLean in 1997. Their architectural work since that time has been widely published and awarded across categories including urban design, single and multiple residential design, small public works, adaptive re-use of existing buildings and peripheral urban design strategies. NMBW’s work is known for its careful reading of existing conditions, at both an urban scale and the scale of individual inhabitation. In 2012 Nigel was appointed as a member of the Design Review Panel established by the Office of the Victorian Government Architect. Nigel’s current research with the Monash Urban Laboratory tests design-led processes for suburban regeneration and infill redevelopment, seeking new relationships between natural and human-made systems. Sophie Thomson has been surrounded by garden and plants her entire life. Growing up in her family’s plant nursery, it’s not surprising that Sophie continues the tradition and delights in sharing her gardening passion and knowledge. She lights up the screen as ABC TV’s Gardening Australia presenter, is a popular magazine/newspaper columnist, engaging public speaker, author, broadcaster and horticulturalist. Sophie’s has spoken at TEDx Adelaide on the topic of Saving the World with Gardening. Her latest book “Sophie’s Patch” was released in 2018. Bringing energy, humour and wisdom to her work with her enthusiasm and excitement for plants and gardening inspires people of all ages. Sophie describers herself as an obsessive-compulsive gardener, and she has an unwavering belief of the therapeutic benefits we reap from building a lifelong connection to nature. 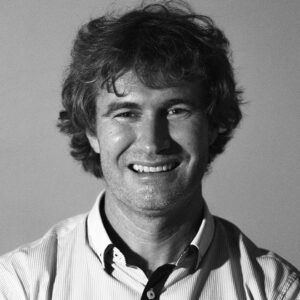 Greg Ingleton is an environmental scientist and works as a Business Development Manager Environment at SA Water. Part of his role is to identify and develop opportunities to use water, particularly wastewater, in ways that provide social, environmental and economic benefits. Greg has an interest in the concept of liveability which is aimed at improving human comfort and wellbeing by innovation. He works in both our urban and rural areas, and challenges the way we think about and use water. Tim Johnson’s professional and personal interests cover many areas of the biological, engineering and human sciences which overlap in his work in local government. As Mitcham Council’s Sustainable Infrastructure Engineer, his work at the boundary between civil engineering and urban horticulture focuses on enhancing natural and built assets through integration by design. Drawing on technical and academic knowledge and practical skills developed as a hands-on landscaper and horticulturist, Tim works with Council’s teams developing methods to demonstrate how green infrastructure can infiltrate stormwater into reactive clay soil to deliver drainage solutions, sustain urban vegetation and minimise impacts on built assets. In his civil engineering doctoral research, Tim showed that infiltration through permeable paving reduced reactive soil movement near trees and increased the depth at which their roots grew, thereby reducing the likelihood of pavement damage. Tim’s role as an Industry Adjunct with the University of South Australia’s School of Natural and Built Environments links the University’s multi-disciplinary expertise with opportunities to conduct applied research in Council’s streets and parks. As a result, many of Mitcham’s working WSUD sites incorporate experimental design components and research partners are working on an ongoing basis to analyse the data they’re providing.